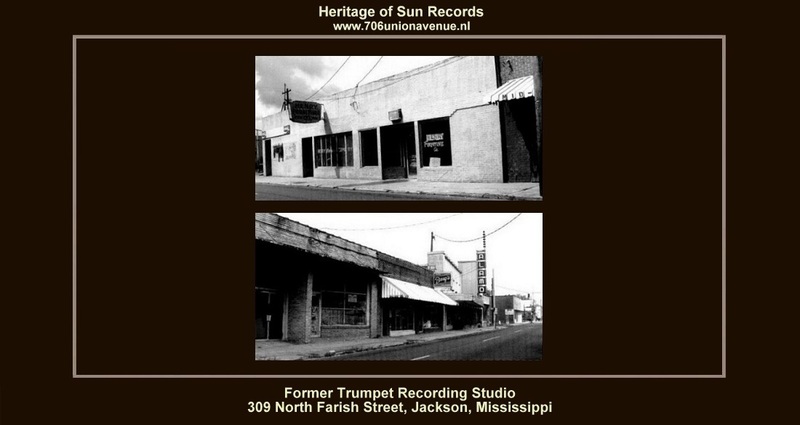 TRUMPET RECORDS - was the first record company in Mississippi to achieve national stature through its distribution, sales, radio airplay and promotion. 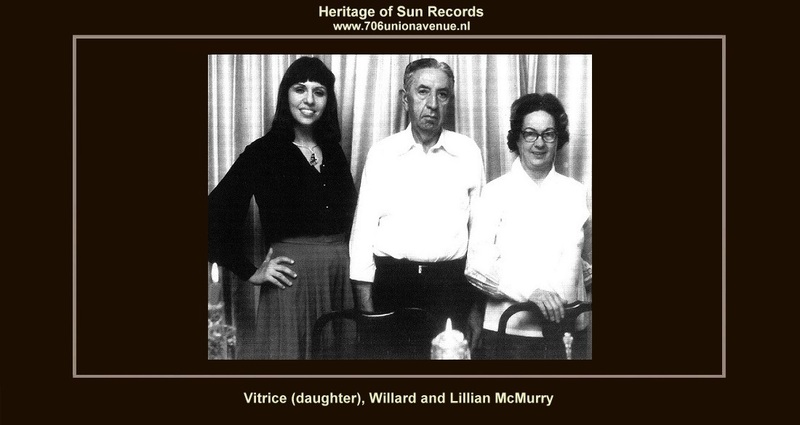 Willard and Lillian McMurry launched the label from their retail store, the Record Mart, at 309 North Farish Street, Jackson, Mississippi in 1950, and later converted the back room into a recording studio. The first releases by Mississippi blues legends Sonny Boy Williamson II, Elmore James, and Willie Love appeared on Trumpet in 1951. Willard and Lillian McMurry, who were furniture dealers by trade, entered the record business by chance, when they acquired a stock of blues and rhythm and blues 78 rpm discs with the inventory of a hardware store they purchased at this site in 1949. They turned the building into the Record Mart when they discovered they had a ready-made market for blues and gospel records on Farish Street, which was already home to much of Jackson’s African American music and commerce. The Record Mart also came to serve as the headquarters for Diamond Record Company, Trumpet Records, Globe Music, and Globe Records. ''Dust My Broom'' by Elmo (Elmore) James was the only Trumpet record to reach the national rhythm and blues charts of Billboard magazine (in April 1952), but other records by Williamson and Willie Love appeared on regional charts as far away as California and Colorado. Among other artists who recorded for Trumpet were bluesmen Jerry McCain, Big Joe Williams, Tiny Kennedy, Luther Huff, Arthur Crudup, Clayton Love, Wally Mercer, and Sherman Johnson; gospel groups such as the Southern Sons Quartette and the Blue Jay Gospel Singers; and country singers, including Lucky Joe Almond and Jimmy Swan.